Probably Ukraine, 1880. On round base with six sided starfish shaped filigree structure. The stem consists of filigree overlaid on a silver stem. 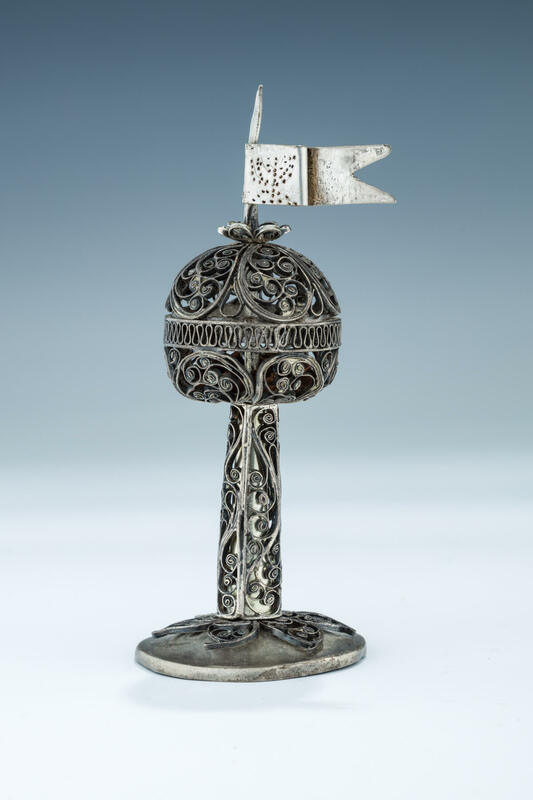 Upper portion in spherical shape with waving flag, engraved with a Temple style menorah. Marked. 5” tall.